Yamanashi prefecture is one of the best for intensity of solar radiation. 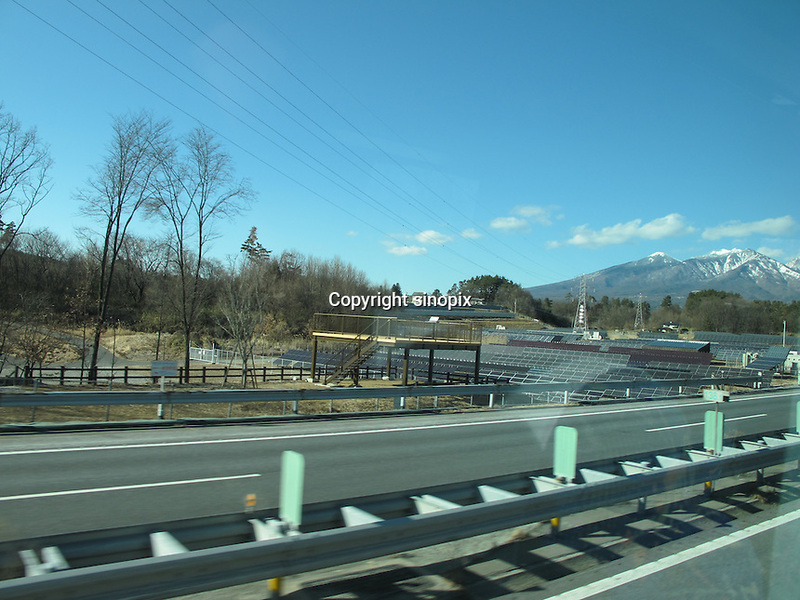 TEPCO has Yonekurayama solar power station in Kofu-shi, Yamanashi, Japan. They have placed 80,000 solar panels in the area of 12.5ha producing 12,000,000kw annually which is equal quantity to about 3400 house hold electric consumption. Solar panels are placed 30 degree which is the best degree to produce maximam electric with less wind pressure.